DNS/Nameserver control with Get Dotted domains. With any domain name registered with Freeola, you are given full DNS control via the MyFreeola Control Panel. This means that you have full control over your domain name and are able to use your domain name with any service provider that allows you to redirect DNS Records to them. 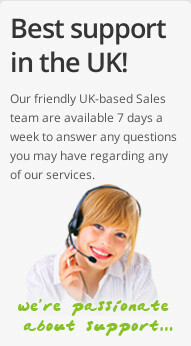 For example, you are able to use the e-mail service with one provider and have your website hosted with another, just by setting the relevant server addresses within the Online Control Panel, via the DNS settings. How to access the DNS settings? In order to access the DNS options page, you will need to log into your MyFreeola account and select View/Edit Domain Details from the left hand navigation. If you then tick the box beside your domain name and press Change DNS, you will be shown all DNS options available. Below is a quick overview of the DNS settings which can be changed within the domain control panel, and how they might be used. 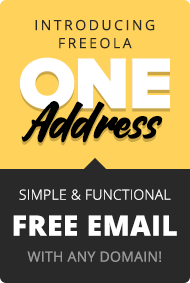 If you were looking to have a domain name registration with Freeola, however have all hosting managed elsewhere, you would need to set the DNS name servers to those of your hosting provider. This would give your hosting provider full control over all of the DNS Records assigned to your domain name, consequently it would no longer be possible to change any other records with Freeola until the DNS Servers are reverted. The Web DNS records relate to those that point to your website. These DNS settings can be changed if you are looking to host your website with another provider. Your web host will either provide you with an A Record, or a CNAME record, both of which DNS settings would be set within this option. MX Records are DNS Records which specify where e-mail messages will be directed. If you are using an external e-mail provider, you should be given a list of MX Servers which would need to be put in place via this option in the DNS Control Panel. Other than SPF Records which are set seperately below, TXT records are majorly used for verification purposes. For example, before a provider will allow you to use their services, they may ask you to create a TXT record on your domain name which will confirm you as the domain name owner. The SPF record is used for extra verification for messages that are sent out. It basically contains a list of servers that are able to send messages out using this domain name as part of the e-mail address. Some recieving servers will then check against this record when a message is received, and potentially mark the message as spam (or block the message entirely) if it doesn't add up. A subdomain is your domain name, with a custom prefix, seperated by a dot. Subdomains are commonly used for seperating different websites or services which use the same domain name. For example, if you have a webmail system in place, you may wish to set up webmail.example.com to allow easy access to your online webmail portal. How can I check or change the records that are in place? If your domain name is hosted with Freeola, the easiest way to check or change the records assigned to your domain name is to log into your MyFreeola Control Panel, select View/Edit Domain Details from the left-hand menu, tick the box beside your domain name and press Change DNS. If you then select the desired record from the options available, you will be able to view or change the current settings for that record. You are also able to check any of the above records on a domain name using Freeola's Domain DNS Lookup tool. Just enter the domain name into the box provided and click Check. You will then be taken to a results page where you are able to view the DNS records in place. To find a particular record, you can select the Custom tab on the results page and perform an individual look up. 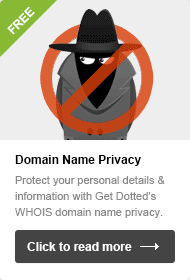 Register domains with GetDotted.com from £4.26 or transfer your existing domain portfolio to us for free to receive all these brilliant DNS features and services absolutely free plus a whole host of other additional options!